The Canyoning is an adventure sport that is practiced in the canyons or ravines of a river, being able to present a very varied route, also known as torrentismo consists of going obstacles in rivers or ravines: walking, swimming and unweaving. In the equipment, the person must have at least a helmet, a neoprene suit, suitable footwear, mechanical blockers, pedal, razor, whistle and life suit. 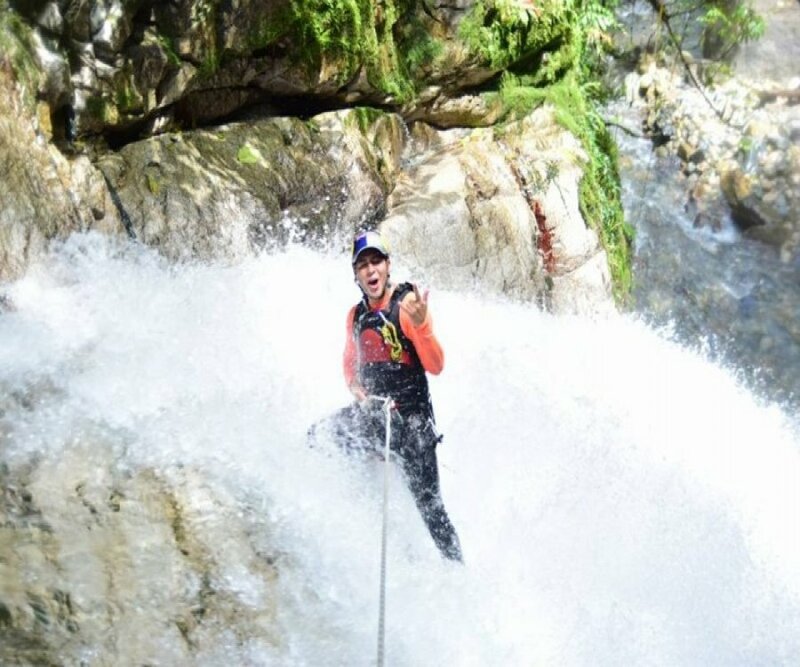 In Baños de Agua Santa there are places to do this Canyoning activity, such as: White River, Cashaurco and the Chamana waterfalls, from where you can enjoy this extreme sport, as well as admire beautiful landscapes surrounded by wonderful vegetation. 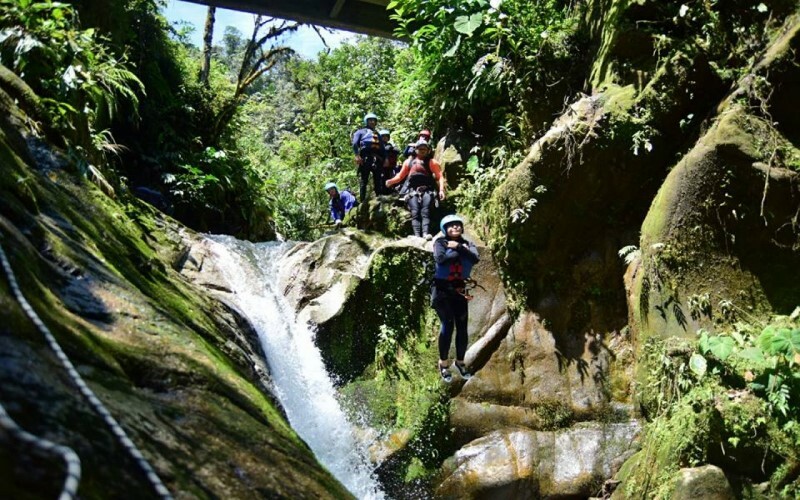 The agencies that offer the Canyoning in Baños de Agua Santa have trained personnel, certified equipment that are constantly reviewed by members of the Ministry of Tourism as well as the Department of Tourism of the Municipality of Baños de Agua Santa, which are in charge of monitoring the Necessary security that the national and foreign tourist is trained and must demand at the time of carrying out this activity. Come and enjoy an extreme adventure ...! 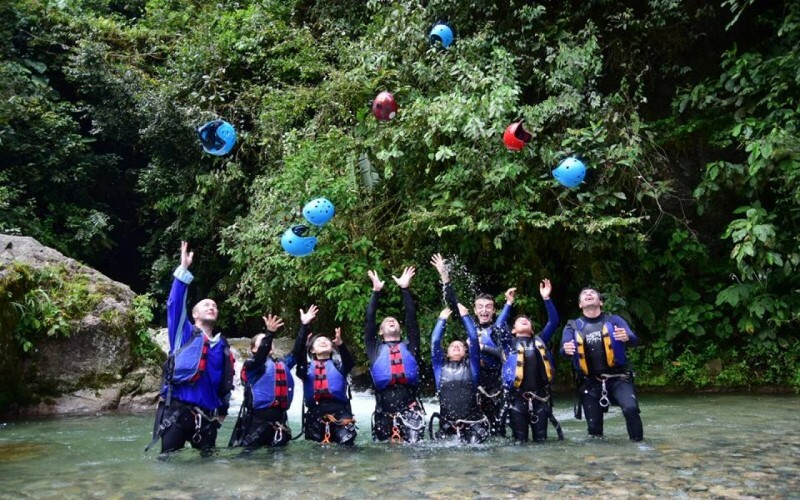 Canyoning Banos Ecuador, Canyoning Ecuador Baths, Extreme Canyoning Ecuador Baths, Canyoning Ecuador, Canyoning.